Brick cleaning can be achieved with the use of high pressure cleaning techniques that help cleansing water enter the small crevices of each brick. High pressure cleaning is preferred over other methods of hand scrubbing or standard pressure cleaning, as it allows water to enter the pores of brick at a fast rate and on a large surface. For stains that have accumulated over time or are recent on your bricks, you shouldn’t worry that they aren’t removable. We’re able to tackle the stain at its core, removing it piece by piece to clear your bricks of all debris. Whether the stains have appeared on home exteriors or even brick structures such as fire pits or walkways, we’re able to easily remove them with high pressure cleaning tools and techniques. After the high pressure cleaning has ended, we may recommend that you re-seal your brick surfaces to protect them from further damage. The types of stains that often form on bricks can also determine the approach needed to clean them. While high pressure cleaning can easily remove most stains, it’s sometimes advised to give the bricks a simple rinse before deep cleaning. However, high pressure cleaning can easily remove calcium buildup stains, soil stains from the ground, or other natural stains that occur over time. For stains such as graffiti and paint, these are removable but may require further pressure cleaning steps on our part, which we’re prepared to offer. Other stains, like mold or algae, will come off quickly with high pressure cleaning. Our brick cleaning services are of utmost quality and we perform each of our brick cleaning projects thoroughly and with precision to avoid damage. High pressure cleaning is advised as it can easily penetrate smaller areas of the brick that are otherwise unreachable. However, since high pressure cleaning is stronger than standard pressure cleaning, it should only be handled by professionals who are experienced in the field. We’re able to clean your bricks with care and without damaging the grout or structure of the bricks. Your bricks won’t be scratched, scathed, or otherwise damaged, cracked, or discolored. Our brick cleaning methods are not only sustainable and efficient, but also safe. 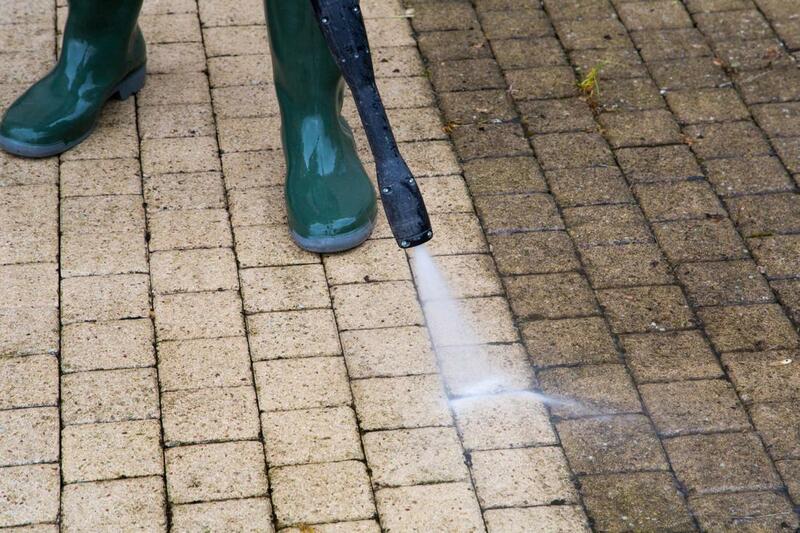 You don’t have to worry about high pressure cleaning affecting the appearance of your bricks negatively. Our handymen are licensed professionals that have safely and successfully cleaned brick structures in the industry for many years and we’ve done so with our professional approach to each project we take on. If a brick cleaning job is performed incorrectly or by someone who is inexperienced, it can result in further structural damage to your brick that can put it at risk for crack or crumbling. Safety is always our top priority and we never implement cleaning techniques that could harm your brick structures or devalue them. They’re meant to last a long time and look great throughout the duration, and we’re here to help accomplish that.